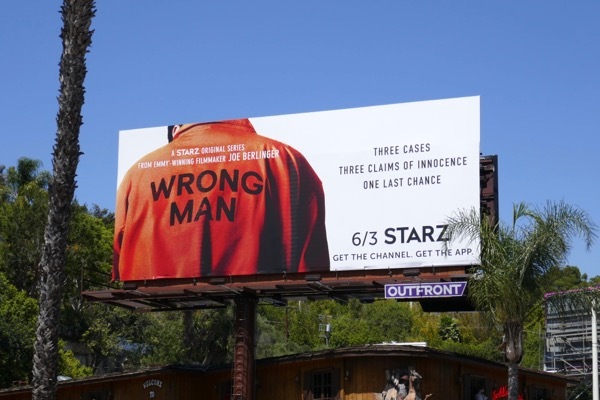 This June Starz journeys to the world true crime with it's new documentary series, Wrong Man, a six-episode season following three different inmates who claim they are innocent. 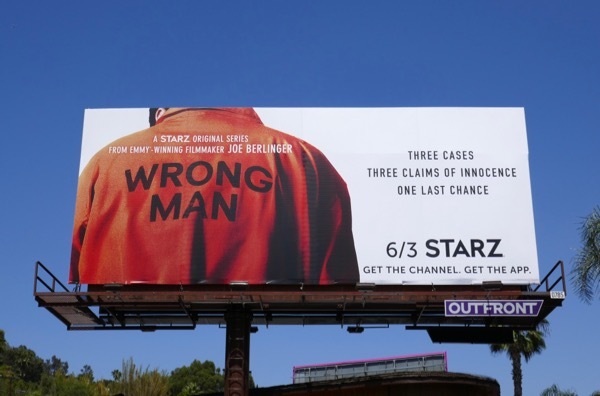 Oscar-nominee and Emmy winner Joe Berlinger's cameras follow a team of legal, investigative and forensic experts as they re-examine the cases of three people who have been locked up for decades. 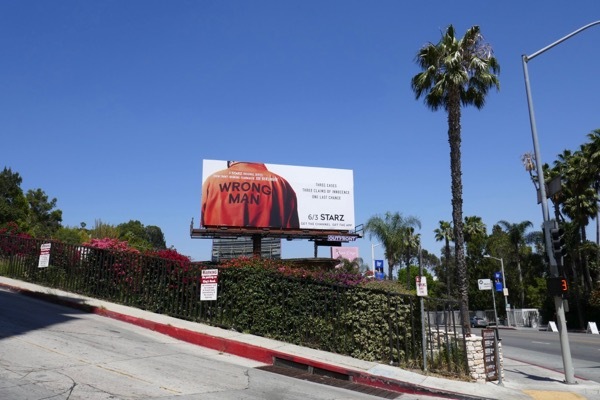 This series launch billboard, which stands out with its bright orange prison jumpsuit, was snapped along West Hollywood's Sunset Strip on May 16, 2018. 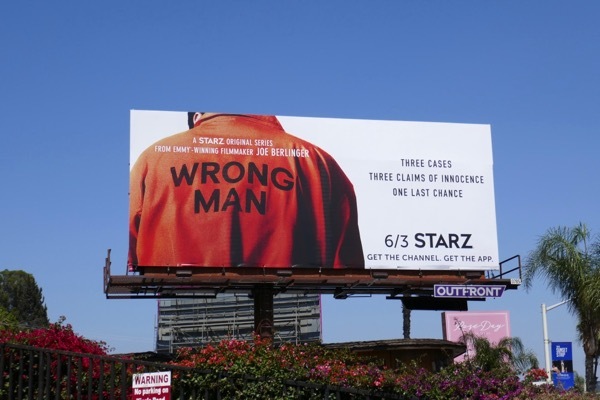 This series is not to be confused with The Wrong Mans comedy thriller starring James Corden from 2013, but fans of true crime can also enjoy these Making a Murderer billboards and these Unsolved billboards. What's that saying, innocent until proven guilty. But what if it's actually innocent if proven guilty.